HydroComp, Inc. of Durham, NH USA is a hydrodynamic engineering research consultancy with a focus on propulsion system and ship performance simulation, including environmental key performance indicators. Internationally-recognized for their NavCad® propulsion simulation software, HydroComp provides services to designers, owners and operators for the prediction of full ship mission fuel consumption, CO2 production, cavitation inception, hydroacoustics, and underwater radiated noise. HydroComp is also a leading player in the research and development of applied methods for a variety of mission-critical performance indicators, including energy consumption and audible propeller noise. Most notable is their exploration of underwater radiated noise. 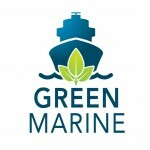 Green Marine (green-marine.org) is a North American environmental certification program designed to strengthen sustainability in the marine sector. Launched in in the fall of 2007 and currently has over 190 members, their program derives from the support of more than 65 environmental organizations, scientific programs, and government agencies. Through transparent and inclusive industry collaboration, Green Marine creates 12 measurable performance indicators that provide clear benchmarks for members. According to HydroComp’s Liz McCrary, “HydroComp has been actively investing in research and development to support environmental issues. We are in a unique position to use our knowledge and tools to transform the shipping industry, starting now. Features derived from our new sustainability initiative will contribute to the performance indicators endorsed by Green Marine, and allow designers to create quieter ships with a smaller carbon footprint”. “The impact of underwater radiated noise on marine mammals has become increasingly damaging and continues to threaten more species. One container ship can emit 190 decibels of sound energy in the water, louder than the sound next to a speaker at a concert. Our active involvement with Green Marine encourages compliant member organizations to act responsibly to help reduce man-made impact”, says McCrary. Questions about the partnership or the work we’re doing? Contact us!